Whether you’re a technophile, a professional or a college student, upgrading your smartphone has become a necessity to keep up with changing technologies and customer experiences. But do you feel a twinge of guilt every time you set aside your old phone that is still in good working condition? You’re not alone. The dilemma that follows is everyone’s problem: What should I do with my old phone? Give it to a neighbor? To the domestic help? Sell it? Keep it? 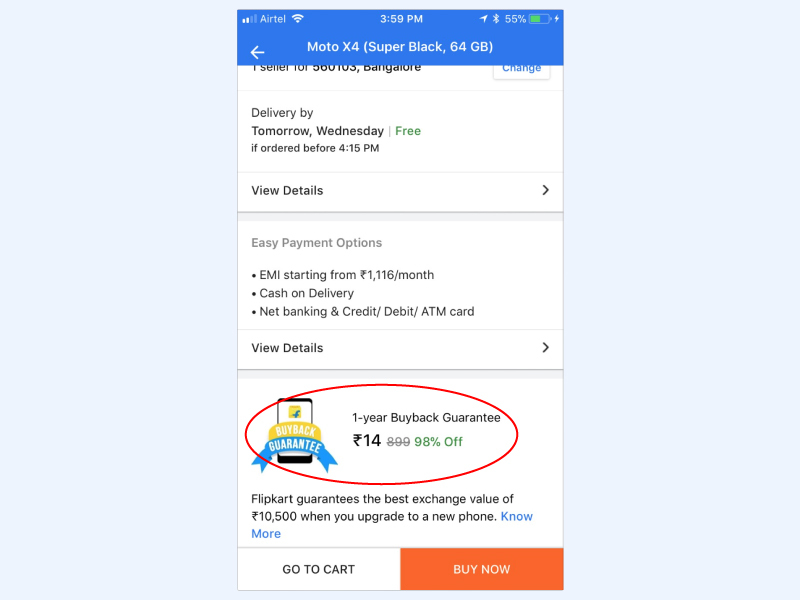 Flipkart’s Buyback Guarantee (formerly known as Assured Buyback) makes buying the latest smartphone feel like eating a spoonful of sugar-free ice cream — completely guilt-free. 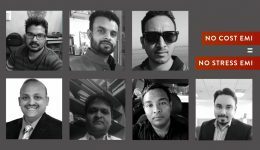 These Flipkart customers used Flipkart’s latest affordability initiative to buy the phone of their dreams with the knowledge that when the time comes for the next smart upgrade, they’d be covered. Read their story. Over 100 million customers are registered Flipkart shoppers. India’s number one e-tailer, with a whopping 60% share of the Indian e-commerce market, has consistently made shopping both easy and affordable for customers with affordability-boosting initiatives such as Cash-on-Delivery, No Cost EMI, Debit EMI, Product Exchange, etc. Among the recent initiatives in this direction is Flipkart’s Buyback Guarantee (previously known as Assured Buyback). Gone are the days where you’d use a mobile phone for years on end. You want your smartphone to keep up with your busy life, and want the best that technology has to offer. After all, it’s only fair to want your phone to multitask just like you do. 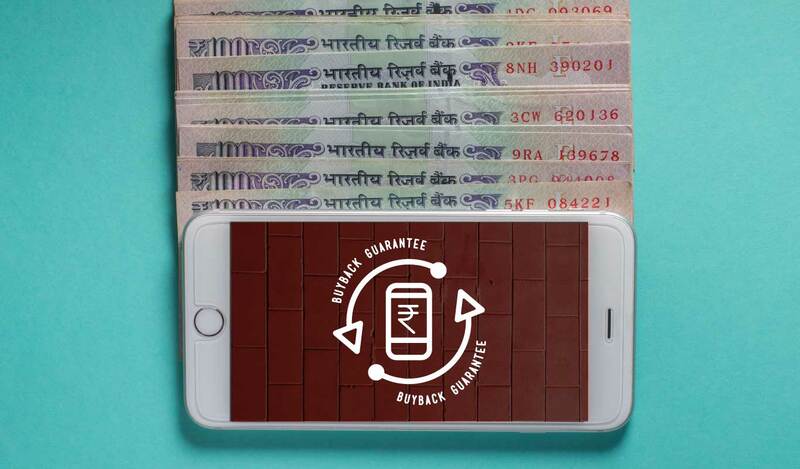 Instead of forgetting your old phone at the back of a drawer, Flipkart’s Buyback Guarantee lets you make good use of it. “Earlier, I’d pass on my old mobile phone to a family member,” shares Prashant Shekhar, a Bengaluru resident. Others simply hoarded their old phone hoping to sell it one day or use it again for emergencies that we’re pretty sure will never arise. 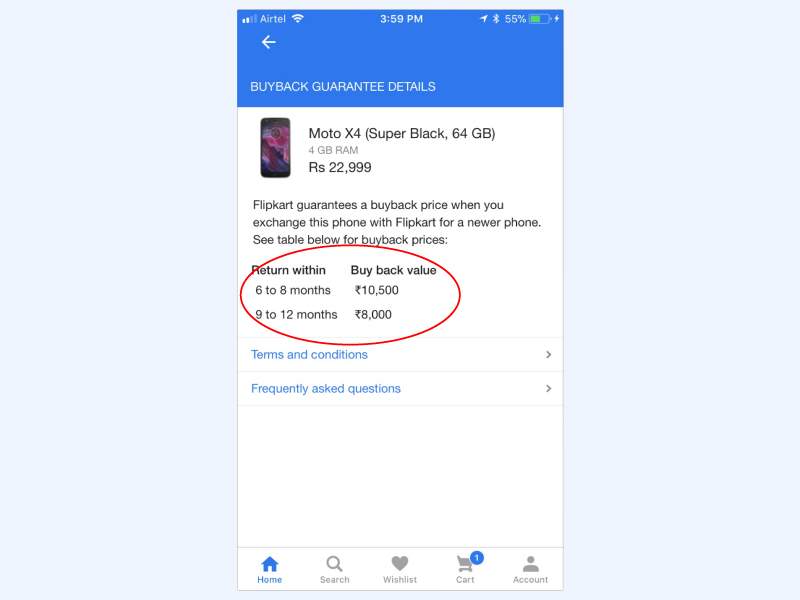 Flipkart’s Buyback Guarantee takes these challenges head-on, and assures you a pre-fixed price at which Flipkart will buy your handset back from you should you choose to upgrade or replace it. You can use this amount as a discount when you purchase your new smartphone. It is as easy as that. Prashant is adept at using Flipkart’s Buyback Guarantee. “First, I bought a Moto G5 Plus, which I then exchanged for a Samsung Galaxy S7. I was given an assured amount of ₹7,000, which is great!” he says. 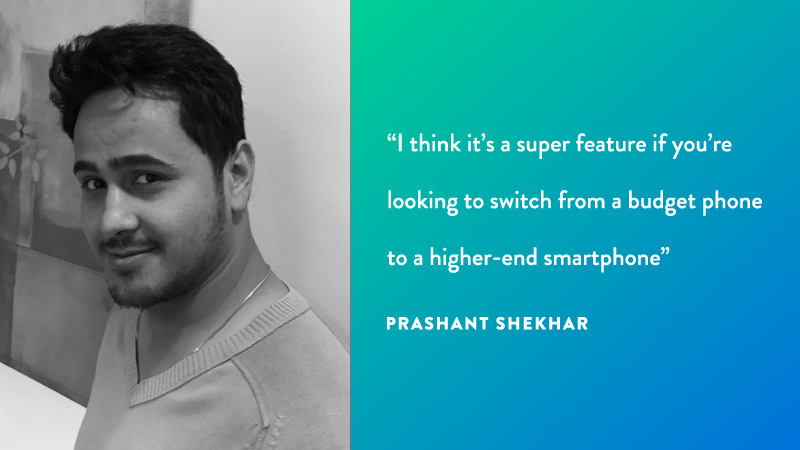 “I think it’s a super feature if you’re looking to switch from a budget phone to a higher-end smartphone,” Prashant adds. 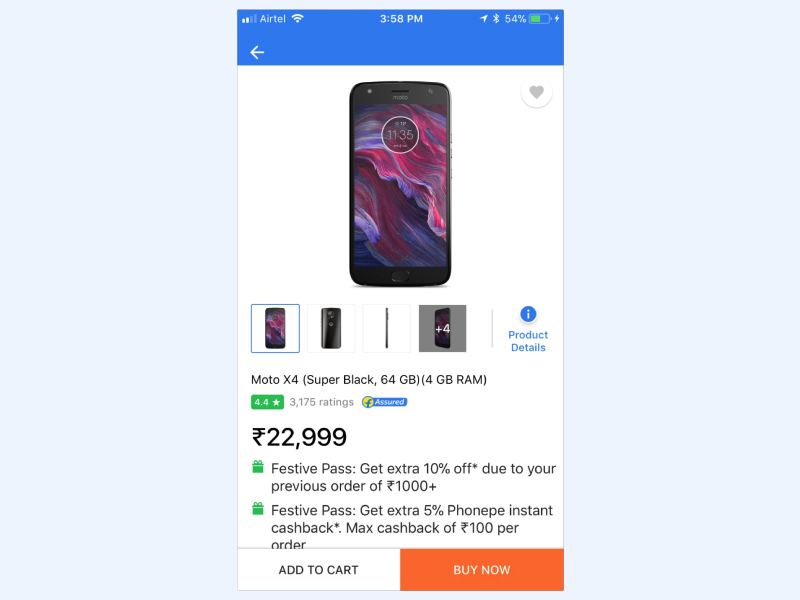 An added advantage for Flipkart shoppers is that you don’t have to depend on the market price, as the price of your handset has already been fixed. When you take delivery of your new order, hand over your old handset to the Flipkart wishmaster. That’s all that there is to it. Consider Vineet, who recently bought the Pixel XL 2 with a Buyback Guarantee. “I was determined to buy the phone and the deal made my purchase more fulfilling. Flipkart does its job well — the information on the website is sufficient, and the process was completed smoothly and without any glitches,” he says. Does the Buyback Guarantee make shopping smoother? Anand Dalvi, a 39-year-old resident of Pune, agrees wholeheartedly. 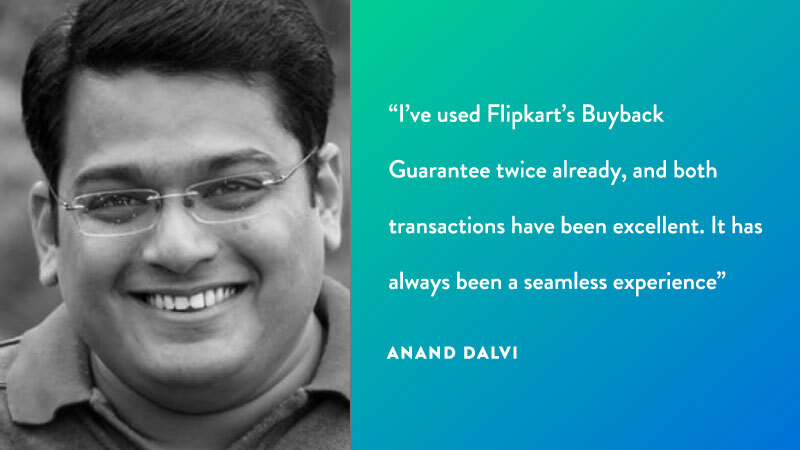 Before we can ask him a question, he tells us, “I’ve used Flipkart’s Buyback Guarantee twice already, and both transactions have been excellent. It has always been a seamless experience.” Anand, like Bengaluru’s Murlidhar Rao and Saikat Das, learned about the Buyback Guarantee from the Flipkart app. 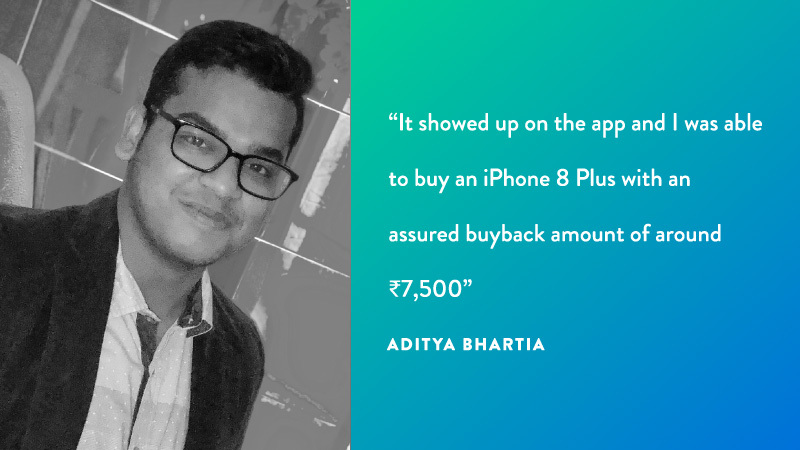 “It showed up on the app and I was able to buy an iPhone 8 Plus with an assured buyback amount of around ₹7,500,” chimes in Aditya Bhartia, another Bengaluru resident. “I came to know of the scheme when I was browsing for phones. It showed up as a pop-up next to the name of the product,” adds Duggineni Chaitanya, who exchanged his Moto G5 Plus for a Samsung S7. “I coupled the buyback amount with an additional cashback offer to get a total of ₹10,000 as savings!” he gushes. 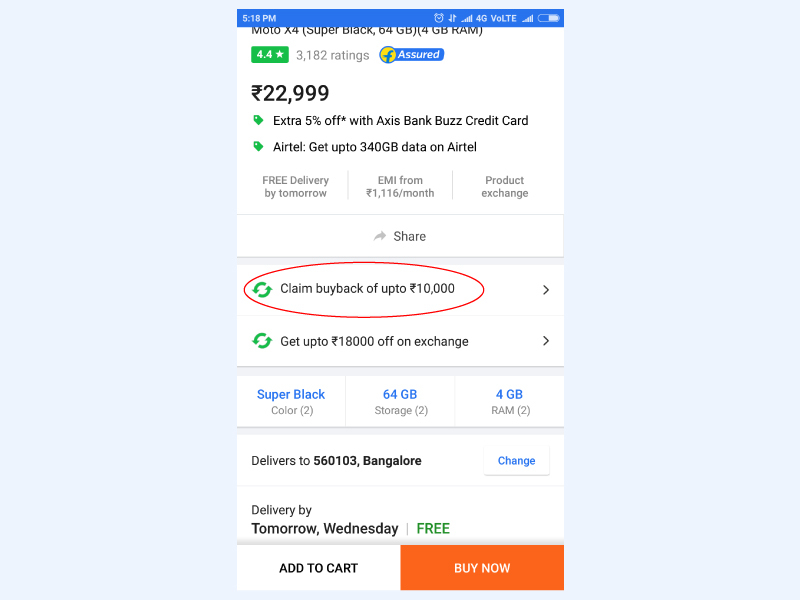 Perhaps one of the biggest benefits is that Flipkart’s Buyback Guarantee allows you to couple this offer with other ones to keep your wallet happy. Club offers together like Chaitanya, and there’s no end to how much you can save. “I keep changing my phones frequently and the Buyback Guarantee allows me to do this easily. In fact, I’ve also used No Cost EMI to make smartphone-shopping lighter on my wallet,” he tells us. Are customers willing to repeat the Buyback Guarantee magic? “I’ve been really happy with the experience. The whole Buyback Guarantee procedure took place according to the terms and conditions mentioned on the website,” adds K Swarna Kumar, 35, a resident of Hyderabad. “This is already the second time I’m using the feature, so I’m definitely going to use it again if I get a good deal,” Saikat chimes in. It’s simple, it’s quick and most importantly, it’s no different from how you would usually shop on Flipkart. Instead of finding someone to hand over your old phone or simply storing it in the hope of using it on a rainy day, make good use of it and exchange to get an instant discount on your next smartphone purchase. “I used to give my phones to someone from my family who needed it, but isn’t it better to exchange an old phone rather than pass it on to a loved one?” Prashant asks. Can’t wait to try the Buyback Guarantee on your next purchase on Flipkart? Here’s an easy step-by-step tutorial for the best smartphone upgrades. 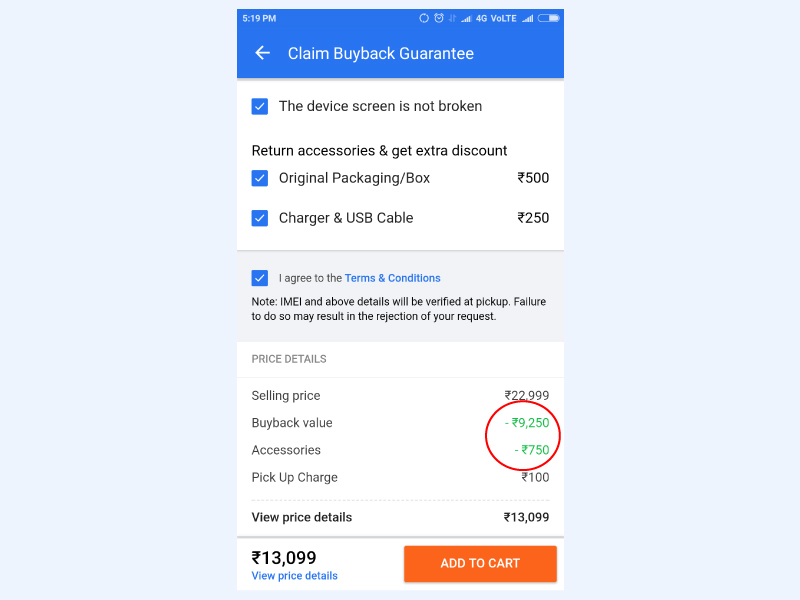 Step 2: Scroll down to the Buyback Guarantee section, click on Know More to see the Buyback amount that you can avail on redemption. Step 3: Select the Buyback Guarantee addon at a policy price, which often comes at massive discounts. Now, click on Buy Now so you can get your new phone knowing that your next upgrade is not going to cost you the earth! Step 1: Choose the phone you wish to buy, an option to claim a BuyBack will appear right after the product. 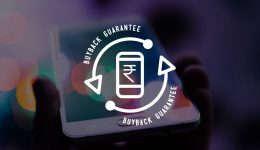 (Note: You can avail the Buyback Guarantee option only if the you have opted for the Buyback policy at the time of buying the handset you wish to sell back). Step 2: Once you click on ‘Claim Buyback Guarantee’, check all the boxes applicable to your device. Bonus: You get an extra discounts if you return the handset with its original packaging and accessories. The Buyback amount, along with the extra discounts, will be subtracted from the total price of the smartphone you have chosen to buy, and the new price will be shown to you. Now, just click ‘Add To Cart’, finish the purchase and upgrade your phone!